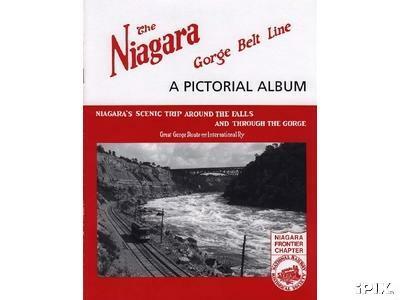 The Niagara Gorge Belt Line - A Pictorial Album - 67pgs softbound - Published 2000 by Niagara Frontier Chapter National Railway Historical Society, Inc. 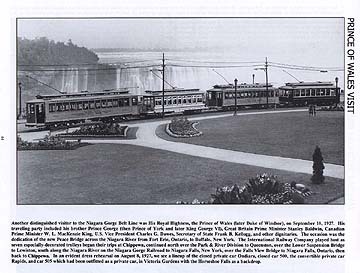 This book is a pictorial showcase of the interurban streetcar line - Great Gorge and International Railway - that ran along both the American and Canadian sides of the Niagara Gorge from Niagara Falls 1893-1935. 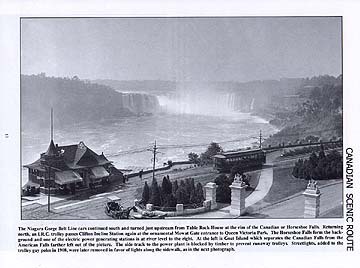 Over 100 b&w photos and maps of this streetcar excursion line. 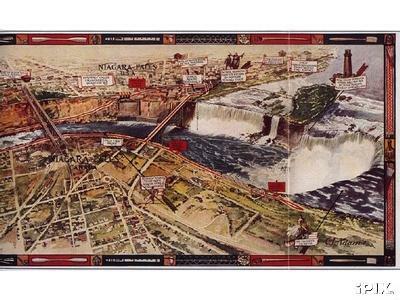 Center inset is a color 2 1/2 page fold out panoramic view of Niagara Falls and gorge which was published in 1932. 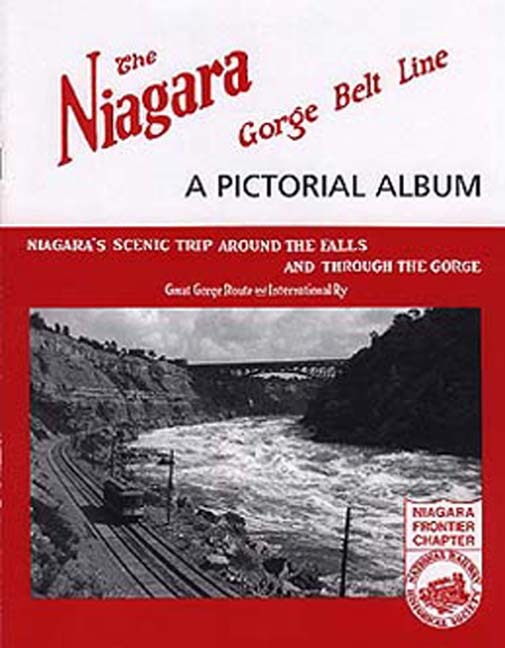 Photos include breathtaking views of the Falls and mighty gorge, historic trolley, bridge, and historic railroad buildings. 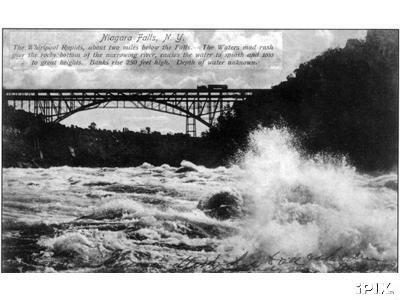 Pictures include scenes just feet above the rapids-impossible to see by car or foot. Edited by Gordon J. Thompson, this book is a compilation of over 15 years of research. 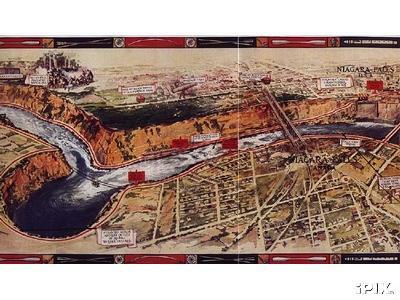 Many pictures are from extensive private collections. 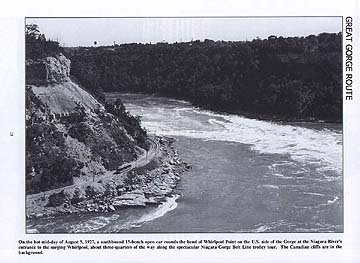 Current visitors to Niagara Falls will wish the 11.4 mile railroad which ran just feet from the gorge rapids was still in operation. Canadian customers $14.95 US + 15.00 CAD mail postage (Available only for shipments to Canada). Checks made out payable in US funds ONLY!!! Customers from other Countries: $14.95 + $9.50/airmail or $5.00/surface mail to any address worldwide (other than the US or Canada). Libraries & Wholesale Orders - Please see special links below! Canadian Address: Total with postage: USD $29.95 (Canadian personal checks accepted) Payable in US funds ONLY.